Our ability to bring people together across the community is what makes United Way unique. We believe we can accomplish more when we work together toward common goals, which is why we convene several active community partnerships and provide the structure needed to achieve success. Research shows that a strong start sets kids up for success in school and life. 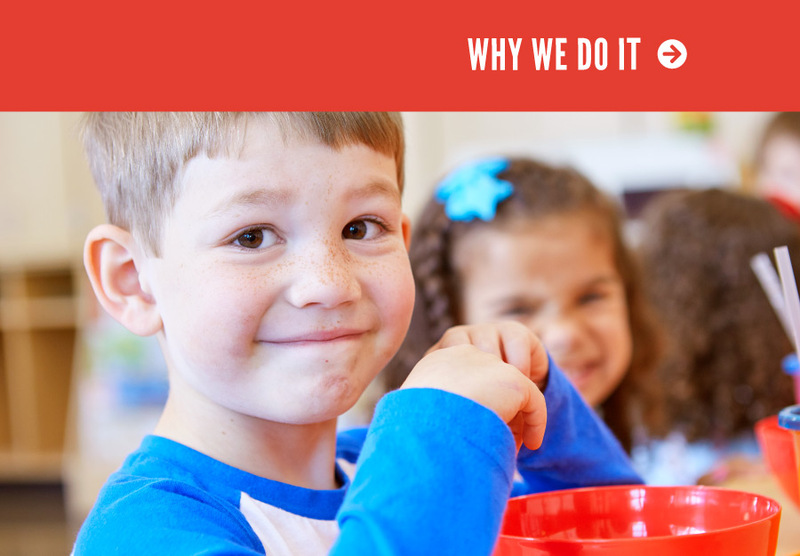 The Early Learning Alliance works to ensure that children are ready to succeed in school, that families have the resources and tools to create nurturing homes for their children, and that services and programs work together to provide what children and families most need efficiently and effectively. In recent years, our success in creating positive impact has allowed us to almost double our revenue through grants and awards, bringing more dollars to Lane County from outside the community. Investments include parenting education and support across Lane County, 180 slots of affordable and high quality preschool for families in need, and access to Kids In Transition to School (KITS) for over 500 families. 100% Health oversees the work of LiveHealthy Lane which unites Lane County, United Way, PeaceHealth, and Trillium to improve the well-being of people in Lane County. This partnership works to create a space where all people can lead healthier lives by bringing the community together to decide how to better the social determinants of health, thus improving the lives of people in Lane County. Through the generosity of our caring community, United Way is able to support the work of our Funded Partners through community grants. Here is a current list of funded programs.